In service to our mission statement, the Office of the Secretary of Religion supports a global community of Sikh Dharma Ministers. Our Office provides administrative services, educational and outreach programs, Minister Candidate processing, ordination of Ministers, and Sikh Dharma Minister resources. 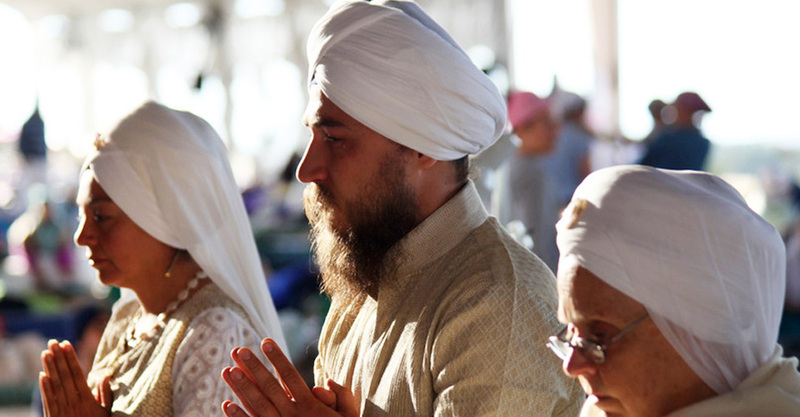 For the past 45 years, the Office of the Secretary of Religion has supported the growth of Sikh Dharma in the West. Sikh Dharma Ministers serve in a variety of ways. Ministers hold positions on the Siri Singh Sahib Corporation board, the Sikh Dharma International board and non-profit boards, and serve on the International and European Khalsa Councils (leadership bodies of Sikh Dharma International). They work tirelessly as healers, teachers, counselors, and business professionals—spreading Dharmic teachings through their areas of expertise, providing chaplaincy and interfaith services, and participating as leaders in service and gurdwara activities. Our goal is to offer effective and efficient support services for the Sikh Dharma Ministry and to involve Ministers on a geographic and global level by responding to their priorities, concerns, needs, and requests. We work with Ministers around the world so they can serve humanity. The Office of the Secretary of Religion is served by the Secretary of Religion, the Assistant Secretary of Religion and an Executive Assistant. I have been asked to describe the role of the Secretary of Religion. The Office of the Secretary of Religion is responsible for the administration of the Ministry in co-operation with the Chancellor of the Siri Singh Sahib Corporation. The role of the Office of the Secretary of Religion includes ministering to the Ministry of Sikh Dharma so the Ministry can in turn minister to the Sadh Sangat and the world. This is a many-faceted position. It requires me to hold the position in my psyche and to ask for continued guidance from God, Guru, and the Siri Singh Sahib to serve it in the best way possible and through the highest of consciousness. I hold it as a sacred trust with reverence. As Secretary of Religion, I oversee and am ultimately responsible for the delivery of the functions of this Office as listed above, including overseeing the New Minister Candidate process for ordaining Sikh Dharma Ministers, administrating annual Minister credentialing, and working with the Office of Ethics and Professional Standards. 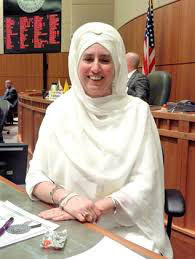 I also act as a liaison between the Office of the Secretary General of Sikh Dharma International and the Office of the Bhai Sahiba and support and consult with the Siri Sikdar Sahiba of Sikh Dharma. I am an officer of the Sikh Dharma International board, as well as a member of the International Khalsa Council and a member of the Khalsa Council Executive Committee. In 1991, the Siri Singh Sahib Bhai Sahib Harbhajan Singh Khalsa Yogiji asked me if I would be willing to be Secretary of Religion for Sikh Dharma. At that time, the Ministry was a rich body of individuals whose talents and gifts were still fairly untapped. I initially helped Ministers embrace their roles as leaders of the Aquarian Age. I see each Minister as a unique “patch” of a quilt with their God-given gifts sewn together by the Shabad Guru to be able to cover the needs of sangat and the world. As Ministers, I see us as stewards of the direct teachings given by the Siri Singh Sahib on Sikh Dharma. We have an etheric connection to the lineage of Guru Amar Das, who founded the first Sikh ministry system. Our roots are deep. We are now experiencing the “flowering” of this organization, as we continue to serve as a global Ministry. From our spiritual roots, our Ministry will help uplift our sangats and humanity as they evolve in consciousness. It is my hope and prayer that God and Guru ever bless us and keep us in His light and love. The Office of Secretary of Religion administrates the Ministry in cooperation with the Chancellor of the Siri Singh Sahib Corporation. In the fall of 2000, the Siri Singh Sahib appointed me to be Assistant Secretary of Religion, to help increase the capacity for service and growth of the Sikh Dharma Ministry. 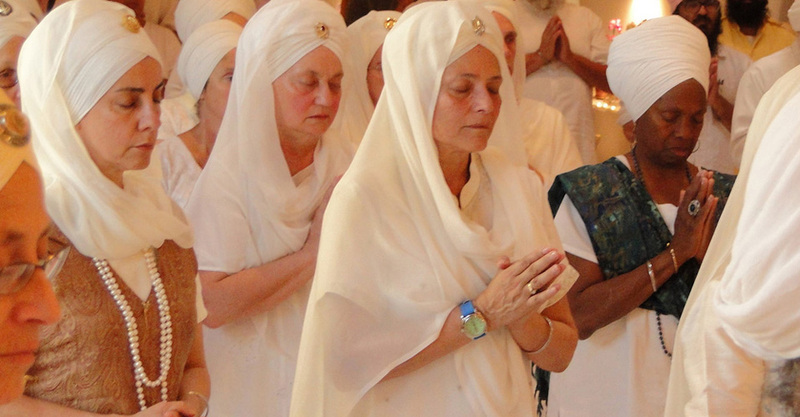 Although the Assistant Secretary of Religion serves, upholds, and is integral to the Office of the Secretary of Religion, this person, in the Siri Singh Sahib’s words, “Is not the assistant to the Secretary of Religion.” It is a role that encompasses a sacred trust to serve the Sikh Dharma Ministry and each Minister in relationship to the original source of the Sikh Dharma Ministry—Guru Amar Das—into the modern day manifestation held now in the Office of the Secretary of Religion. On a practical level, the Assistant Secretary of Religion serves as another set of eyes, ears, hands, and— often—feet on the ground to connect with, hear, see, sense, and feel the pulse of the Global Ministry as a living, evolving body. My heart pays particular attention to our mutuality and unity in our diversity as a Ministry. My tasks, duties and responsibilities are in support of the functions of the Ministry. 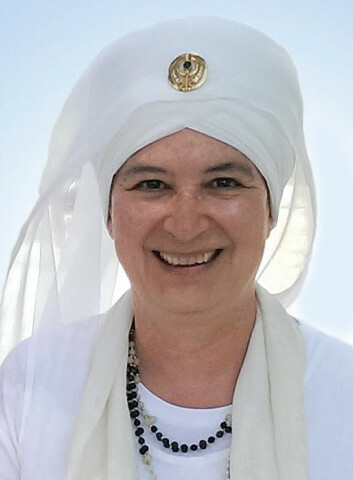 I help shape the content and delivery of the Sikh Dharma Minister gatherings at Summer and Winter Solstice and at the European Yoga Festival. I participate on the teams that produce the quarterly newsletter and website content, and I contribute to the planning, processes, and procedures of the Sikh Dharma Ministry. In addition, I am an officer of the Sikh Dharma International board and a member of the International Khalsa Council. I am ever grateful to God, Guru, and to the Siri Singh Sahib for blessing me to serve as a Sikh Dharma Minister and as Assistant Secretary of Religion. As Executive Assistant, I am blessed to serve the Office of the Secretary of Religion. My duties include administering annual Minister credentialing, providing a variety of Minister support services, and supporting the Minister Candidate application process. I assist the Secretary of Religion in handling any legal and ethical issues pertaining to the Ministry in conjunction with the Office of Ethics and Standards, and work with our global sangats to support their service in the world. I help facilitate the planning of our Minister gatherings, prepare reports for Sikh Dharma International and the International Khalsa Council and maintain ongoing communication with Ministers around the world. In addition to my day-to-day administrative duties, I participate in the visioning and planning for the future of the Ministry. 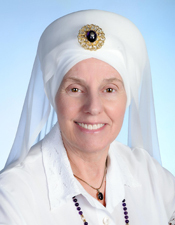 I serve as our Sikh Dharma Ministry Webmaster and Sikh Dharma Ministry Newsletter Editor. I have been an integral part of the team involved in implementing our new online Minister database system. Overall, I am responsible for assisting the Secretary of Religion and the Assistant Secretary of Religion in the management of the administrative, technological, spiritual, and global outreach activities of this Office. I am a member of the International Khalsa Council where I have served as the Recording Secretary since 2001. I feel incredibly grateful to God, Guru, and the Siri Singh Sahib for blessing me to become a Sikh Dharma Minister. In my role as a Minister, I understand that my “ministry” is to “minister to the Ministers.” As such, I feel doubly blessed and grateful in my service to Sikh Dharma that I am participating in this historic time in the spread of our Dharmic values and service in the Aquarian Age. It is an honor for me to support the global Sikh Dharma Ministry—a network of individuals devoted to service, leadership, and preservation of the teachings of the Siri Singh Sahib.